The Alfama is a Lisbon neighbourhood which name is derived from the Arabic "al-hamma" (that means baths or fountains). This neighbourhood that still has Moorish influence is the oldest distric of Lisbon. This place, where Christians, Berbers, Arabs and Jews lived in peace, survived the 1755 Lisbon earthquake. After the reconquest, Alfama became a fishermen neighbourhood. Today it is a quiet place where live working people in small houses whith flowerpots at the door and laundry hunging out to dry. Walking around lower alfama the smell of fried sardines comes to us as we can see inside some Fado's places that are ready to start the night amusement. It is a monumental Baroque building of centralised floorplan and was edificated between 1682 and 1966. In that place there had been a church that had been destroyed by a storm. 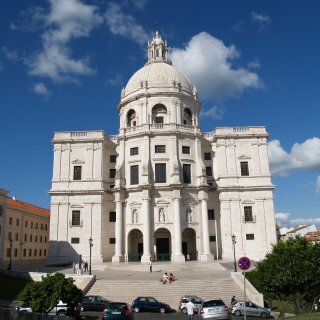 There are important portuguese people buried in the National Pantheon like Amalia Rodrigues, the fado's singer, and writers and former Presidents of the Republic. There are also cenotaphs of famous portuguese figures like Vasco de Gama. From the Pantheon towards the Graça's viewpoint, we walk down to the Church of São Vicente and its adjacent monastery. 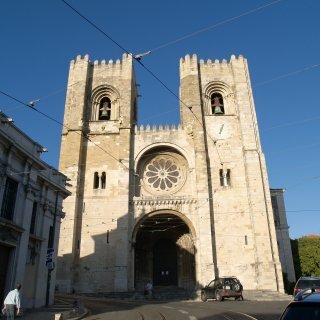 The church's façade is Italian and inside the romanesque monastery you will see a really interesting colecction of 18th century tiles, and some sarcophagus of Portuguese kings. 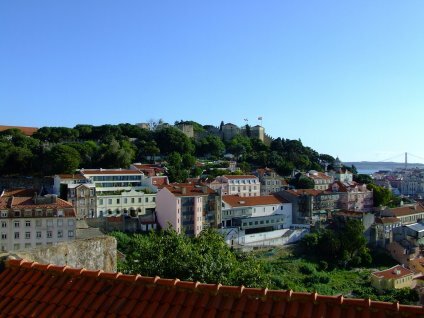 The viewpoint of Graça is next to an old convent that today is a barracks. Next to this building there is a terrace under big trees shadow. This is a good place to have a rest and you'd better going soon because if you don't you'll find the sun in front of you and your photos will not be fine. 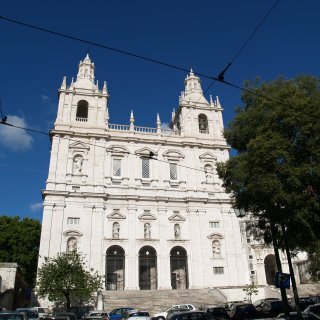 I do advise you to go by the number 28 tram and once you have finished your visit you can go down throgh the Calçada da Graça and the Rua de S. Tome, so we will reach the church of Santa Luzia and its viewpoint. From here we can make out the river's mouth, the Pantheon dome top, the Graça Church, the Monastery of São Vicente and the Cathedral (known as Sé) towers. Now there are two things we can do: we can continue going down through Rua Limonero and la Rua Augusto Rosa as far as we reach the old Romanesque see (Sé),that has got alterations from a lot of ages, since 12th century to nowdays; a long time ago it served as a mosque. Later we can finish going down to the diamond house (Casa dos Bicos). 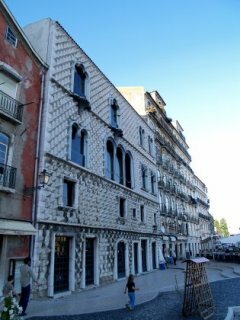 Its façade is made of diamond-shaped stones. Later we can stop at the Customs Offices (Alfandegas), the church of the Concepçao and the Militar Museum, next it is the train station of Saint Apolonia. We can go into the narrow streets of Alfama going down the stairs you will find near the church of Santa Luzia. If the sun is hard it is a pleasure to walk under the houses shadow. The hanging narrow streets weave down without endless and it is necessary to have a rest to drink a cold beer in any restaurant or "pastaleria" you find there.